On sale! (normally $89) The UH3232 USB-C Multiport Mini Dock connects a USB-C computer to an Ethernet, HDMI, VGA and USB Type-A port– through a single cable. 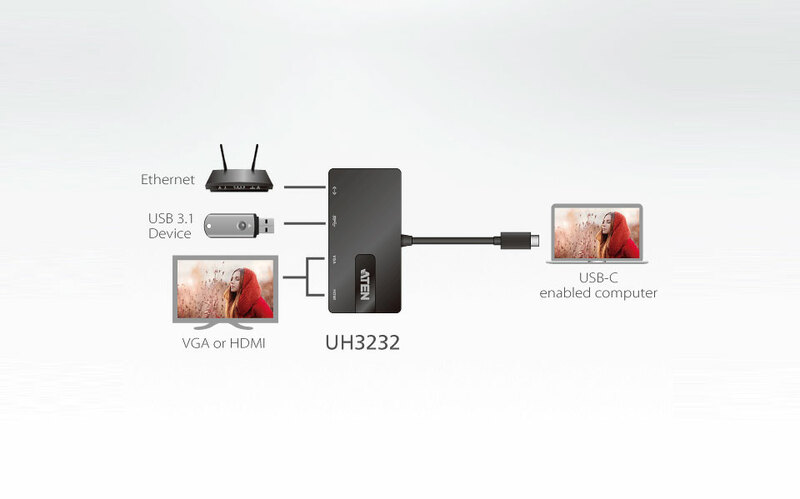 The UH3232 features an integrated and easy-to-use connector that instantly links your USB-C or Thunderbolt 3 computer to an HDMI 4K Ultra HD (3840 x 2160 @ 30 Hz) or VGA 2K (2048 x 1152 @ 60 Hz) video output, USB 3.1 Gen 1 port, and Gigabit Ethernet port for fast desktop docking. The 6-layer PCBA design reduces signal distortion and interference for uninterrupted video that is always crisp and sharp, while the Gigabit Ethernet port delivers Internet speeds up to 1000 Mbps. 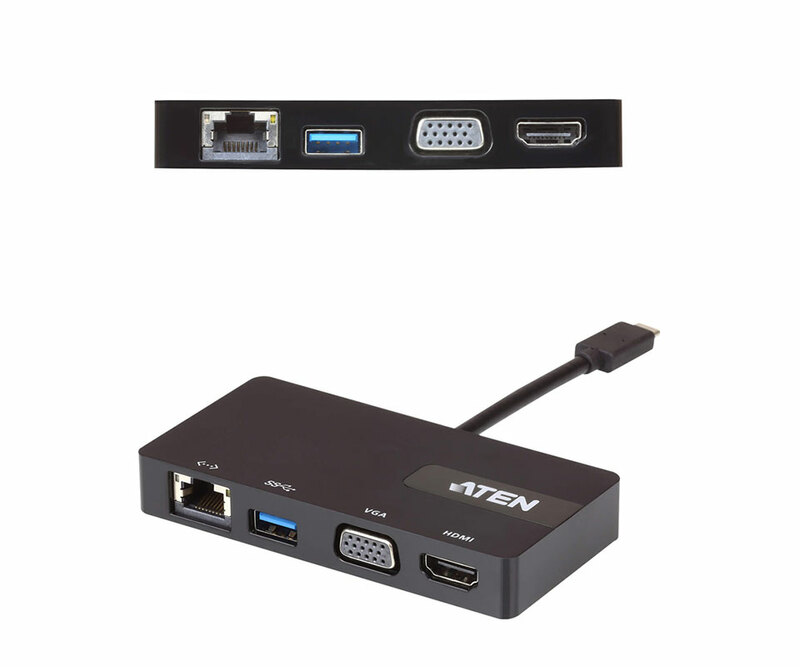 This convenient and versatile dock offers a perfect portable solution for connecting multiple sources to a USB-C enabled computer – quickly. This small, portable, and travel friendly dock gives you more desktop space wherever you are and makes connecting to multiple devices easy. 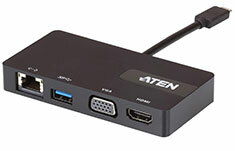 With ATEN’s UH3232, you can travel lighter, connect faster and work more effective, anywhere.